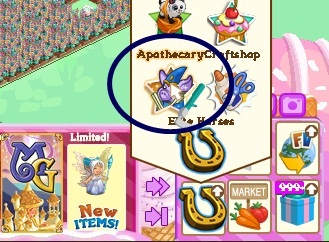 Craft mystical orders and get awesome prizes when you craft mystical orders in FarmVille Apothecary Building. Just like the previous building of the same type such as Dairy and Yarn Barn, players will be crafting mystical recipes and fulfill town’s orders in the Mystical Groves farm. Everytime a players fulfill all the orders there will be a reward. The building of Apothecary can also be upgraded into several stages and the storage can be expanded to hold more raw materials and crafted items. You can access the Apothecary Menu (even you are not in early access) by clicking it’s icon just beside the Market. apothecary dissapeard. Dairy and yarn barn are still there but is not visible anymore . Is ther any other place where I can see it? It’s still on my Mystical Groves farm and other farms that I had already put the apothecary on.